"We're too busy shining as cooks to waste time shining the floor." So. 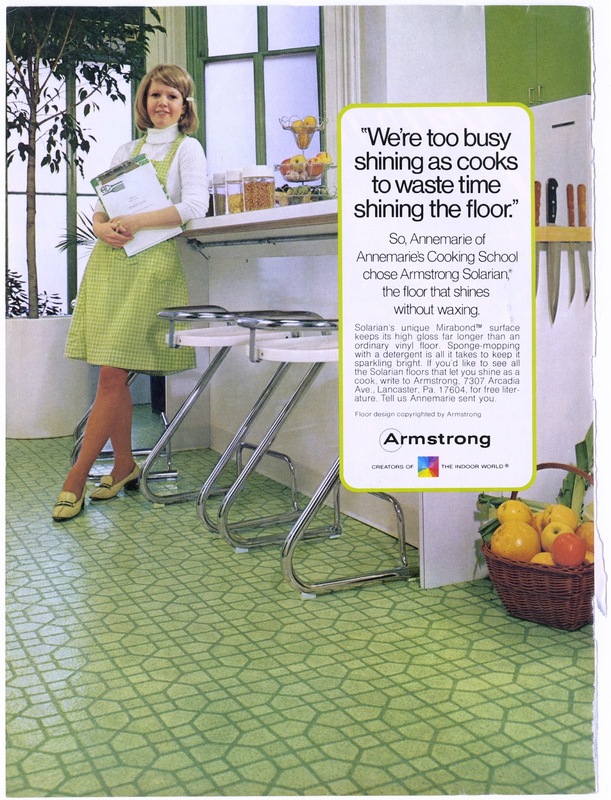 Annemarie of Annemarie's Cooking School chose Armstrong Solarian, the floor that shines without waxing. Solarian's unique Mirabond surface keeps its high gloss far longer than an ordinary vinyl floor. Sponge-mopping with a detergent is all it takes to keep it sparkling bright. If you'd like to see all the Solarian floors that let you shine as a cook, write to Armstrong, 7307 Arcadia Ave., Lancaster, Pa. 17604, for free literature. Tell us Annemarie sent you.